SMSFs – on the ATO radar? Paid Parental Leave – will you be eligible? The changes announced to the exemption for foreign income (ie changes to s 23AG of the Income Tax Assessment Act 1997) have now been enacted. an employee undertaking an activity of a kind specified in the regulations. These changes may increase the cost of employing Australians to work overseas if the employees are to maintain an equivalent wage level. In addition to these costs, employers employing Australian residents to work overseas will face increased compliance costs. Employees whose income is no longer exempt under s 23AG (or another provision) will be subject to tax in Australia on their foreign income. Under the PAYG withholding provisions, from 1 July 2009, employers will need to withhold amounts from salary, wages, commission, bonuses or allowances they pay to an Australian resident individual as an employee who is working overseas. The PAYG withholding provisions will have an impact on the cash flow of Australian residents working in low tax jurisdictions overseas due to higher levels of tax being withheld in Australia. To mitigate this issue, the Government released a legislative instrument that requires employers to reduce the amount that would normally be withheld from payments to individuals engaged in foreign services to take into account the foreign tax that is required to be withheld and paid for the relevant payment period. Australian resident employees working overseas, who are not subject to the PAYG withholding regime, will need to ensure they are complying with the PAYG instalments provisions. The PAYG instalment provisions require taxpayers to pay instalments towards their income tax liability. Employees will also need to apply the foreign tax offset (FTO) provisions to ensure they do not suffer double taxation (ie taxation in Australia and taxation in the country in which employment is exercised). This means employees will have to have appropriate documentation evidencing the tax paid overseas to be able to claim the FTO when they lodge their Australian income tax return. is a “dual-resident” (ie a resident of Australia and another country for tax purposes). Employees who work overseas should consider their residency status. From 1 July 2009, the concessional contributions cap has been reduced from $50,000 to $25,000 per person. Further, the transitional concessional contributions cap until 30 June 2012 for persons aged 50 or over has been reduced from $100,000 to $50,000. This is likely to have an adverse impact on the ability of many Australians saving for their retirement. Under the current taxation regime, concessional contributions are initially subject to 15% tax and non-concessional contributions 0% tax when received by a complying superannuation fund. The amount of concessional contributions in excess of the concessional contributions cap is subject to penalty tax at the rate of 31.5%. This excess then also counts towards the non-concessional contributions cap. The amount of non-concessional contributions in excess of the non-concessional contributions cap is subject to penalty tax at the rate of 46.5%. The first area of concern is where a member is already close to both the concessional contributions cap and also the non-concessional contributions cap. This could occur, where the person has more than one position of employment and has salary sacrificed to the $25,000 limit with one position and then is subject to compulsory superannuation guarantee contributions with one or more other positions. The person may have also contributed close to the non-concessional cap amount (being currently $150,000 p.a. or $450,000 if the person is 65 years or younger and the three year average rule is utilised). This might be a result of contributing funds available from an inheritance or sale of a business or investment. The additional superannuation guarantee amounts may be subject to a total tax of 93% (ie the initial 15% tax on contributions at the superannuation fund level, plus a personal excess concessional contributions tax of 31.5%, plus a personal excess non-concessional contributions tax of 46.5%). The second area of concern is simply where the new concessional contributions cap of $25,000 is inadvertently exceeded as a result of a person having employer contributions in excess of this amount. This could occur if there are two or more unrelated employers meeting their respective superannuation guarantee responsibilities in respect of the person, pre existing salary sacrifice arrangements and/or fixed contribution arrangements to meet the cost of ancillary benefits such as death and permanent disablement insurance. As a result the member might be subject to penalty tax of 31.5% as a result of matters largely outside their control. Taxpayers should watch their super contributions so that they do not breach the cap and subject themselves to penalty tax rates – possibly as high as 93%! The ATO recently released its compliance program for 2009/10. Information matching – the ATO will be expanding their information matching capabilities. They will be looking to use such information to mitigate risks in relation to incorrect reporting in relation to employee share schemes, health insurance policies, eligibility for tax offsets and the Medicare levy exemption. Executives and directors – the ATO will be focusing on income splitting arrangements used by directors and executives. Refund fraud – the ATO will be increasing their usual checks to assist in identifying and eliminating refund fraud. Foreign income – the ATO will be focusing on the correct reporting of foreign income (including bank interest, dividends, pensions, salary and wages). home offices, mobile phones and interest expenses. CGT record keeping requirements – the ATO will be focusing on attempts to offset capital losses against other income. There will be a focus on checking property transactions to ensure correct reporting for capital gains. Self managed superannuation funds (SMSFs) – as discussed in detail below, the ATO will be focussing on loans, in house assets, borrowing and non-arm’s length transactions in relation to SMSFs. Retail investment products – the ATO will be focusing on retail investment products (including managed investment schemes) to ensure that all claims are properly available under the law. Superannuation – the ATO will be focusing on illegal early release of superannuation. Although the ATO is targeting the areas mentioned above, this does not mean that the ATO will not be looking at other areas too. The ATO will be conducting audits of SMSFs in 2009/10. Recently, the ATO has released various material regarding SMSFs. Taxpayers should be aware of this material and the possible implications for their SMSF. PAYG obligations – where a benefit is paid, SMSFs may have PAYG withholding obligations. SMSFs do not have to withhold from all payments. However, if the SMSF fails to withhold where it is required to do so, penalties may be imposed. Related party agreements – SMSFs need to be aware of the “in-house assets” rule which may be breached where SMSFs enter into arrangements (eg investments or loans) with related parties. If the SMSF breaches the in house assets rule, the fund may become non-complying. Use of negotiable instruments (eg promissory notes, cheques to pay contributions) – the ATO is targeting the non-commercial use of negotiable instruments in transactions involving SMSFs (eg using a promissory note or cheque without intending to exchange money or assets). The ATO is concerned that SMSFs may be using such instruments to avoid liquidating assets, to change the timing of transactions or obtain tax advantages. Unpaid trust distributions – the ATO has issued a ruling in relation to whether an SMSF breaches the superannuation laws where it is entitled to distributions from a related trust but it has not received the payments. The ATO’s ruling examines whether the in-house assets rule, arm’s length rule and / or sole purpose test will be breached by such arrangements. Enduring powers of attorney – the ATO has issued a draft ruling in relation to the requirements to remain an SMSF if an enduring power of attorney is entered. Although the Government’s paid parental leave (PPL) scheme will not apply until 1 January 2011, employees should be aware of the scheme as eligibility may play a part in their future decisions. Have undertaken at least 330 hours of paid work in the 10 month period. The scheme will cover employees including casual employees, self employed persons and contractors. The PPL scheme will be income tested. To be eligible the person’s adjusted taxable income in the previous financial year can not exceed $150,000. As tax time approaches, it is time to think about whether your family trust is in order. A trust can make a family trust election provided it passes the family control test. A family trust election makes a trust a family trust for tax purposes. Broadly, the family control test will be satisfied if the trust is controlled by the family of the person named in the election. In this context, family includes (but is not limited to) spouses, parents, grandparents, siblings, children, nephews or nieces. In some circumstances, companies, partnerships and trusts can also be considered to be members of the family. simpler trustee beneficiary reporting rules. A family trust election is usually lodged with the trust’s income tax return in the year from which the election is to take effect. The election will then apply for all future years. However, in limited circumstances the election can be revoked. 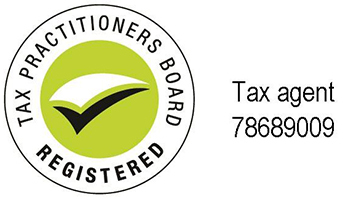 Each year the Commissioner of Taxation releases an approved form which can be used to make the election. The election does not have to be made on the approved form. However, where it is not, it must contain all the information requested on that form.